In today’s world almost all digital services like internet communication, medical and military imaging systems, multimedia system needs a high level security. There is a need for security level in order to safely store and transmit digital images containing critical information. This is because of the faster growth in multimedia technology, internet and cell phones. Therefore there is a need for image encryption techniques in order to hide images from such attacks. In this system we use Triple DES (Data Encryption Standard) in order to hide image. Such Encryption technique helps to avoid intrusion attacks. The image can only be viewed by the receiver as the image is encrypted using Triple DES and the key is only known to the sender and receiver. 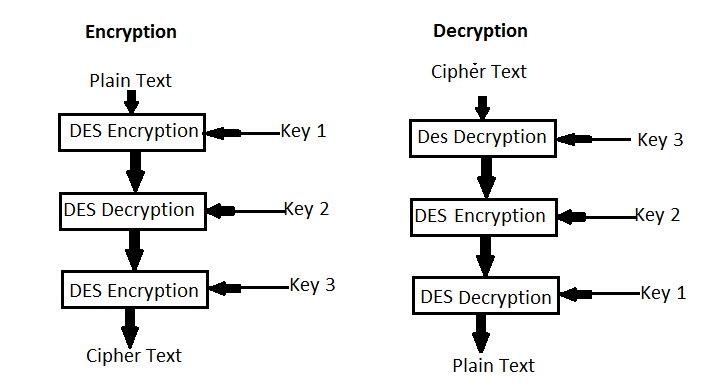 Since the image is encrypted using Triple DES, it is more secure than DES. Since the key is entered by the sender and receiver and is not stored in the database, it makes the encryption and decryption more secure.